We are huge fans of R.L. 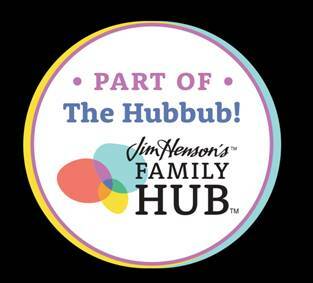 Stine and have been working our way through the Goosebumps books and when we get a chance, since we don't have Hub, find what we can on DVD, Netflix or online. 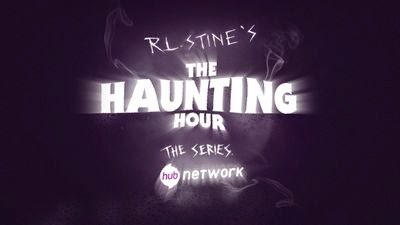 The Haunting Hour is in its fourth season and if you have kids who love kid friendly scary shows this is for you. We had a chance to check out the upcoming season which starts this October 4th at 4:00 P.M., to gear up for Halloween and I can tell you we were impressed. The fright-fest kicks off with two episodes airing back-to-back featuring Sean Giambrone and Mason Cook. In the episode "I'm Not Martin" airing at 4 p.m. ET/1 p.m. PT, Giambrone stars as "Sean," a hospital patient set to get his tonsils removed, but fears the cursed hospital may have other plans that include amputating his foot. This episode is based on the short story of the same name written by R.L. Stine. 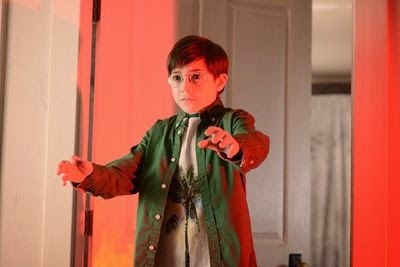 Followed by that is "Grandpa's Glasses" at 4:30 p.m. ET/1:30 p.m. PT featuring Mason Cook as "Bo," a curious boy who accompanies his mother to his deceased grandfather's home. After trying on his grandfather's glasses, he realizes they may not be alone in the house as a sinister spirit seems to be lurking about. "R.L. Stine's The Haunting Hour: The Series," winner of the 2013 and 2014 Daytime Emmy® Award for Outstanding Children's Series, is produced by Front Street Pictures in association with The Hatchery, LLC. with Dan Angel ("Goosebumps"), Billy Brown ("X-Files"), Harvey Kahn ("We Don't Live Here Anymore") and Kim Arnott ("The Debaters") serving as executive producers. The kids and I were excited to see Sean Giambrone from The Goldbergs as Mason. He is in the hospital and being visited by a ghost named Martin who is telling him that he was there for surgery but someone play a trick and the hospital removed his leg instead. Suddenly history is repeating itself and Mason finds himself being called Martin also and reliving Martin's horrific moment in time. It was creepy but not so scary that my daughter had to close her eyes which she has done in the past during a Goosebump episode. The next episode is called Grandpa's Glasses and poor Bo cannot take off the glasses that force him to see horrible images that only he can see. My kids always like to watch scarier things for fall and Halloween. They would enjoy this.